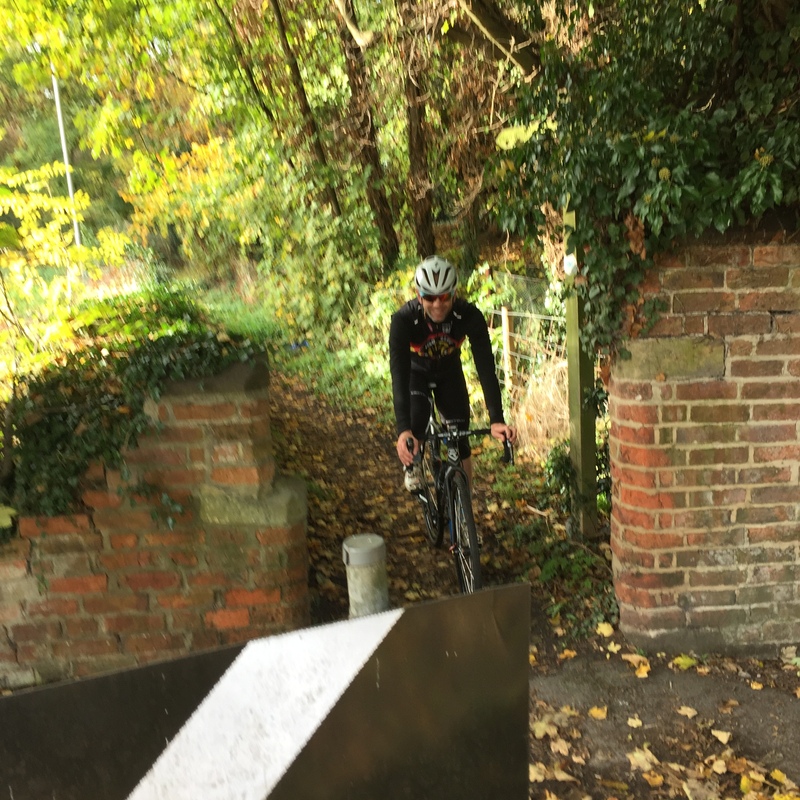 Today we were going to go for a mountain bike ride, but Stu hasn’t been feeling too good so we decided to go for a short ride on the cyclocross bikes. The weather was pretty much perfect considering it’s late October (no wind, chilly but not freezing and the sun was out! ), so we kitted up and headed off. From the house there’s a little bit of road until we can sneak onto the shared usage path by the River Trent. Then it’s a mix of woodland tracks with leaves on the ground, farm tracks, bits of road, more farm tracks, disused air fields and we finished off by riding through the National Water Sports Centre at Holme Pierrepont before a short bit of road through the Lady Bay area of Nottingham and we’re back home. 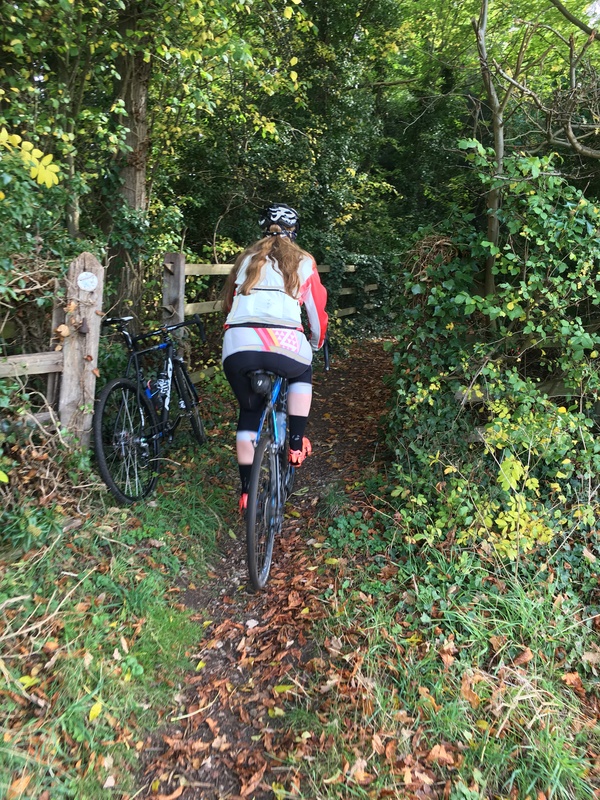 The beauty of cyclocross bikes is that you can pop on and off roads/bridleways and it’s generally great fun! We’re quite lucky too as yesterdays rain hasn’t made anywhere so muddy that it’s hard to ride. In total we did approximately 20 miles at a nice steady pace of 12mph. It doesn’t seem much, but I was smiling for every moment of it – the views from the river side were so lovely, and we got a nice view over the valley at one point too. England is so beautiful when it’s wearing it’s autumn colours! Also this was a good leg stretch for me as I haven’t ridden in two weeks (more on that in a post to come) so I didn’t want to do too much. Especially as the van is at the garage and I’m going to have to jump back into riding to work! Here I am heading off up a jitty, and Stu coming out of the same jitty, which, after a few twists and turns, brought us out onto a main road going into East Bridgford. It’s a bit blurry as I barely had time to get my phone out to take the picture! 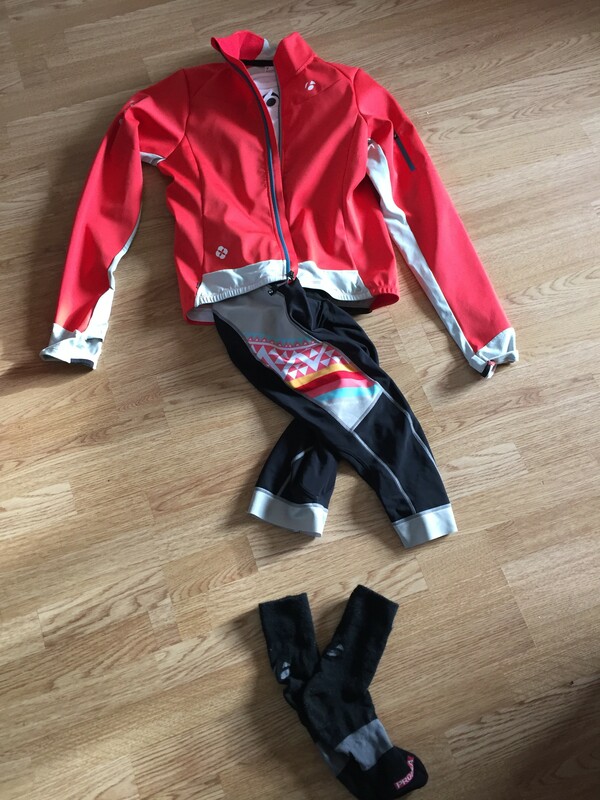 Helmet and shoes are on my kit list page, and I wore some old sports bra that I’ve had for about 10 years that I bought from M&S!